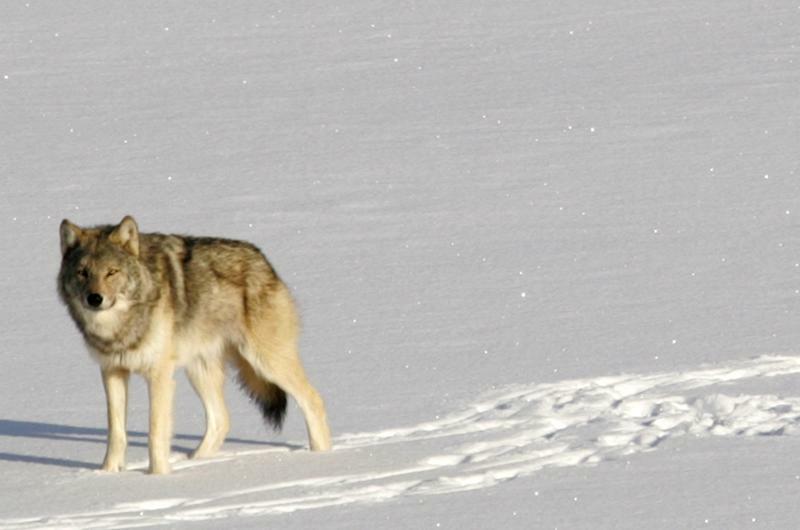 Yellowstone wolf shootings draw scrutiny in Mont. BILLINGS, Mont. (AP) — The shooting of collared gray wolves from Yellowstone National Park is prompting Montana wildlife commissioners to consider new restrictions against killing the predators in areas near the park. Wolf trapping in Montana kicks off Dec. 15. It's the state's first such trapping season since the animals lost their federal protections last year after almost four decades on the endangered species list. But hunting already is under way for the predators in Montana and neighboring Idaho and Wyoming, and at least seven of Yellowstone's roughly 88 wolves have been shot in recent weeks while travelling outside the park. That includes five wolves fitted with tracking collars for scientific research, said Dan Stahler, a biologist with the park's wolf program. The most recent to be shot, the collared alpha female from the well-known Lamar Canyon pack, was killed last week in Wyoming. Also shot in recent weeks were four collared wolves originally from the park but now living outside it. Three more shot in the vicinity of the park had unknown origins, park officials said. Montana wildlife commissioner Shane Colton said closing some areas to trapping or setting strict quotas will be on the table during a Monday commission meeting. "We don't want to close any area off if we don't have to. But if we keep losing collared wolves ... management becomes difficult," Colton said. "We want to do this first trapping season right." Wildlife advocacy groups are pressing state officials to impose a protective buffer zone around the park to protect a species that serves as a major draw for the Yellowstone's 3 million visitors annually. Hunting and trapping are prohibited inside park boundaries, but wolves range freely across that line. Marc Cooke with the group Wolves of the Rockies alleged hunters were targeting collared animals, either for bragging rights or out of spite for wolf restoration in the Northern Rockies. Shooting a collared wolf is not illegal if it's done within state hunting regulations. 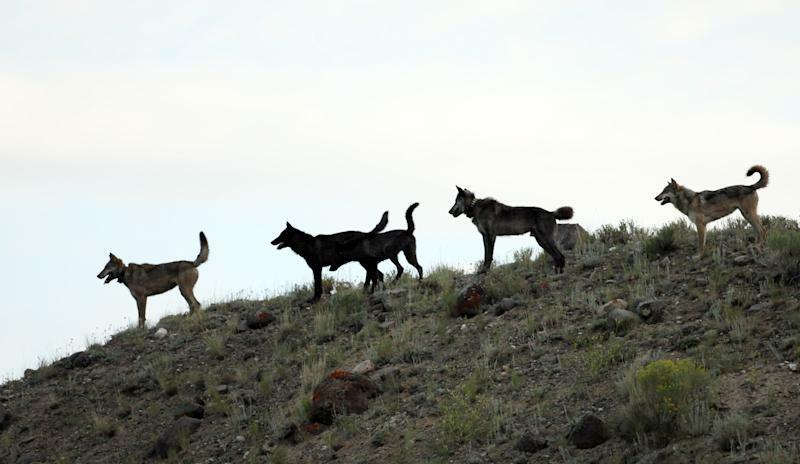 Cooke said the Lamar Canyon wolf killed Thursday was well-known among wolf watchers. It was known as 832F to researchers and among tourists as '06 ("oh-six"), after the year of its birth. "The proportion of collared wolves is too high to believe this is not being done deliberately," Cooke said. "It's wrong, and the world needs to know this." Radio collars on wolves are used to track the animals' movement, often for research. They also are used outside the park to track down and kill the predators following livestock attacks. Monday's meeting in Montana was set up months ago to give commissioners a chance to review the wolf harvest to date heading into a trapping season scheduled to run through Feb. 28. The intent was to see if too many were being killed or the killing was overly concentrated in a particular area, said Fish, Wildlife and Parks spokesman Ron Aasheim. He said agency officials would make no recommendation on quotas or closures. Montana has low harvest limits for wolves in some areas near Yellowstone and Glacier National Parks. Those don't include all the areas where collared wolves have been shot. Cooke and others said they don't go far enough. Yellowstone's chief scientist acknowledged the recent shootings have an impact on the park's wolf research. But Dave Hallac, chief of the park's Center for Resources, said that possibility was anticipated once wolves came off the endangered list. The number killed so far does not threaten the park's overall population, he said. Park officials will be observing Monday's commission meeting but have made no new requests of Montana officials, Hallac said. 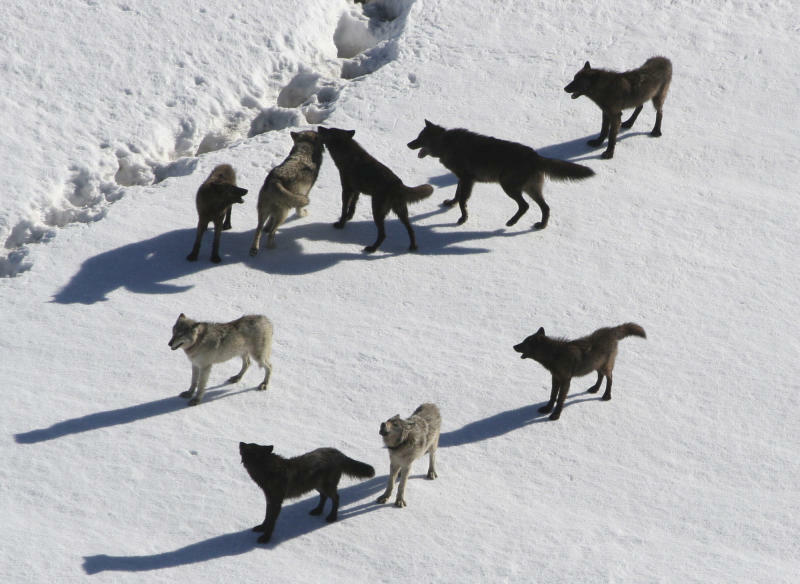 The park previously sought lower quotas or other measures to decrease wolf harvests near Yellowstone in 2009 and again last year, he said. The Northern Rockies region had an estimated 1,774 wolves at the end of 2011, including at least 653 in Montana. Officials in all three states want to reduce pack numbers to address livestock attacks and elk numbers that have dropped in some areas. Hunters have shot at least 87 wolves across Montana this fall. At least 120 have been killed by hunters and trappers in Idaho and 58 have been shot in Wyoming. Montana Trappers Association President Tom Barnes said his group is wary of stricter wolf harvest limits, which he warned would hamper efforts to control the predators. "The park is the park, and there are 2.2 million acres in the park," Barnes said. "If they start creating a buffer zone outside the park, are they going to create a larger buffer zone next time and a larger buffer after that?" State wildlife commissioner Ron Moody said he would support closing areas to harvest or reducing wolf quotas if that's supported by the evidence. But the burden of proof is on wildlife advocates to show why the state should adopt such restrictions, he said.